Proceeds help sustain the CYOP Artist Residency Program. 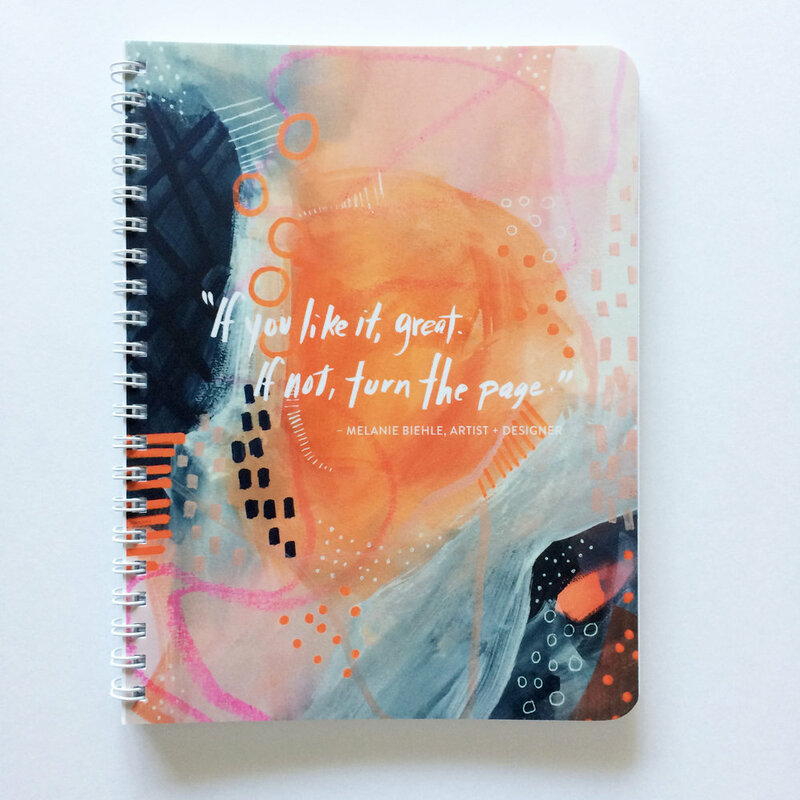 When Melanie spoke these words during her first appearance on the Creating Your Own Path podcast, it was clear they needed to grace the cover of a notebook. This notebook captures the sensible and inspiring phrase of Melanie Biehle—the artist, herself—from a recent interview on the Creating Your Own Path podcast. Listen to Melanie's full interview here. Notebook size: 5.5" x 7.25"